Looking for a reliable, sturdy 2.500" x 36" cardboard kraft tube? You're in the right place! Chicago Mailing Tube offers high-quality, affordable self-locking cardboard mailing tubes perfect for your shipping needs. Because our kraft tubes have plastic plugs and end caps, your shipment's safety is ensured with UPS, FedEx, and USPS. Chicago Mailing Tube's cardboard tubes are available in a comprehensive array of sizes, making them ideal for shipping posters, blueprints, paper, textiles, and so much more. Our products are quality-control tested because we know how important it is to feel confident in your shipment's safety. 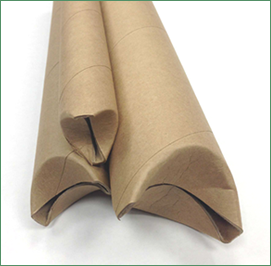 Furthermore, Chicago Mailing Tube is proud to provide the best quality self-locking cardboard kraft tubes at reasonable prices. There's no need to worry if your item will fit in the tube size of your choice, because our fine attention to detail guarantees that your order will match the exact specifications you're looking for. Don't wait. Call today at (312) 243-6050 for a quote on 2.500" x 36" self-locking, crimped-ended cardboard kraft tubes. There's no minimum order required and we offer 24-hour shipping! Fill out the contact form for more information. These heavy-duty kraft tubes with plastic plugs are perfect when sturdiness is required. They are perfect for shipping with UPS, FedEx, and USPS. 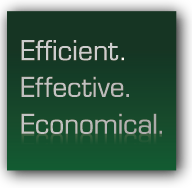 Uses include shipping, hardware, drapery rods, antennas, track lighting kits, metal rods and more. End caps fit snugly to protect the contents.